Great place, the service is amazing, so nice. The location is perfect, you can do everything by foot! 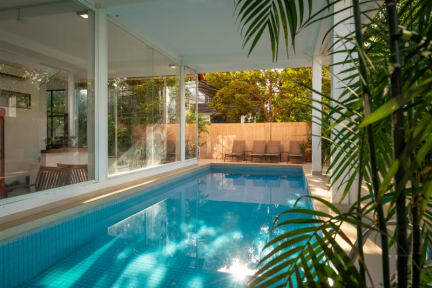 The pool is a great plus for a hostel, especially when it’s so hot like in Siem Reap !! Really great place ! Nice pool and people were really kind ! Everything was perfect all times. The location is perfect. Very close to the pub street and the night market. Dorms are clean and with AC. The people were really nice and providing info about the temples etc. Would highly recommend it! 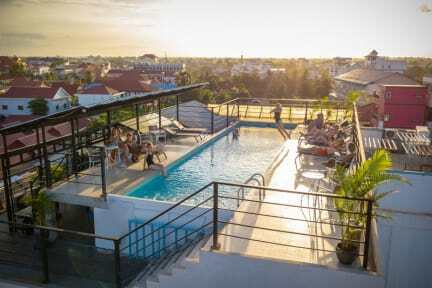 Really nice hostel, nice commodity in the public area, location perfect! Our private room was not as good. Feel like nobody thought of living there before renting. No small light next to the bed, if you want a light you have to open at the end of the room the hole light of the bedroom (not quiet peaceful), the curtain was making the room dark, and if you wanted to keep it open, the neighbor hood could see you. Hard to live two in that room, tv not well place... but great area!! Une auberge très propre, les lits sont grands et agréables. Très bien située. Très convivial, facile de rencontrer des gens. Ils proposent des tours moins chers qu’ailleurs.